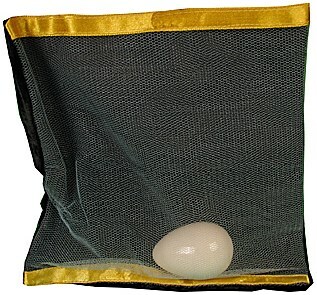 An egg is placed inside a bag which has a see through front, and vanishes! Just as suddenly, the egg reappears again inside the bag! The performer removes the egg from the bag and places it into his pocket, but again the egg jumps inside the bag!